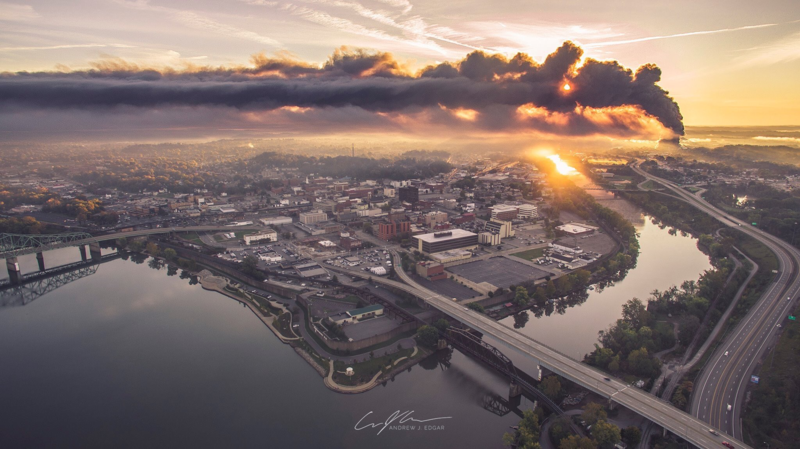 "I am from Parkersburg, WV, the site of the warehouse fire that burned for 4 days. I have information that many of you may find pertinent to the incident and I need to share it." The warehouse used to be the Ames Factory (I think they made shovels there), but for years has been a dump for things that Dupont can't legally get rid of. 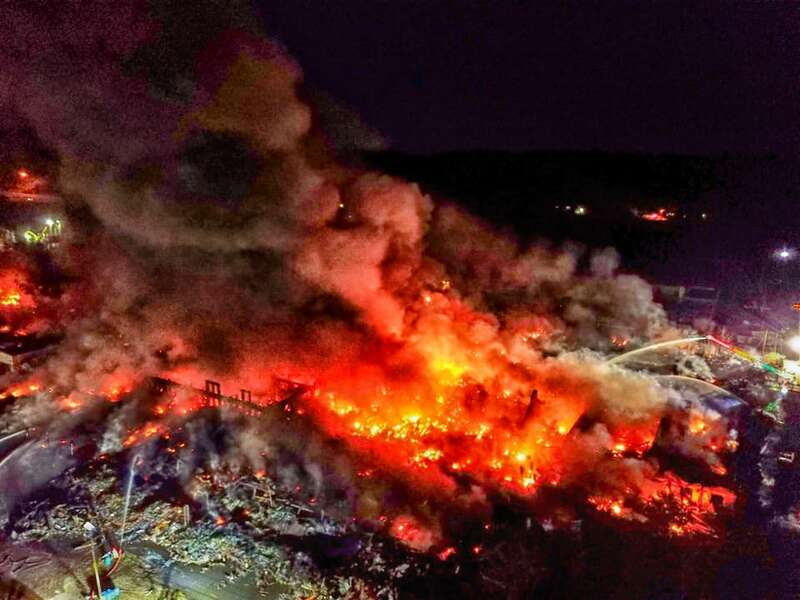 The state doesn't know what was in there, but there is possibilities of any number of these products being stored there - PVC, Nylon, Carbon black, Titanium dioxide, Fiberglass, Maleic Anhydride TLV 0.1 ppm, Formaldehyde, PTFE (Teflon), Styrene, Acrylonitrile, Polybutylene Terephthalate, and/or Acrylic Sheet all of which are not good things when burned. Edit 2: Another update from an insider that used to work for Dupont. IEI, who owns the building is a shell company owned by Dupont. Also, from a different insider "Saurabh Naik (Ed Note: The official owner of IEI) has dozens of LLC Shell companies like IEI that he funnels stuff through. He makes everyone that works from him sign an NDA. You'd be Shocked at some of the stuff that gets stored in his warehouses. You get everything from polymers to toxic Dust to drums of acid all thrown into the same sections of buildings. I've personally seen warehouses wall-to-wall with this stuff with literally no room to walk around in. If a Fire breaks out in one of his buildings then there is no way to put it out short of letting the entire thing Burn to the ground. Apparently this old AMES building was one of his worst and he's already received many citations and Warnings about how things are stored and the general maintenance of the facility. Expect shutdowns of satellite warehouses soon and probably a couple bankruptcies declared as Well." The warehouse that caught fire was an abandoned building on Old Camden Avenue. It was an Ames tool warehouse before it was shut down and bought some time after by a man named Jeffrie D'Costa. 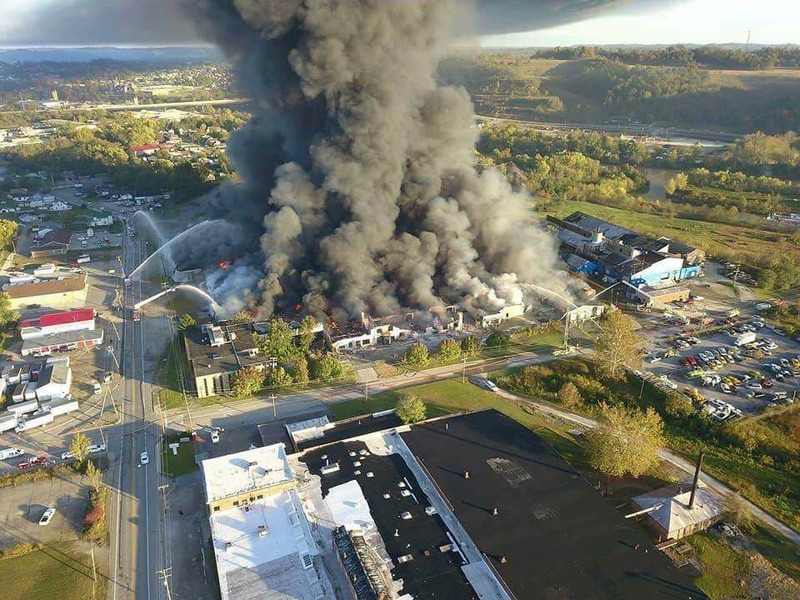 D'Costa was a former supervisor for the Little Hocking DuPont facility. In 2015 D'Costa pled guilty to charges of "fraud and swindling". Acts which he had committed between 2009-2012, as an employee for DuPont, resulted ultimately in the theft of $550,000 from his employer. D'Costa had some sort of legal agreement with DuPont (lease/contract) that allowed the company to store chemicals, which they could not otherwise legally dispose of, in the warehouse. D'Costa did not maintain proper standards of storage for this facility with these chemicals. They regularly leaked out of their containers and were exposed to the elements, and each other. 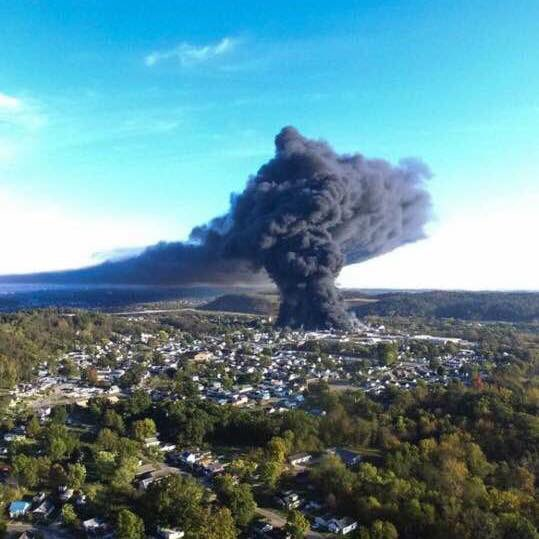 On October 21, 2017 the old Ames warehouse caught fire, and the chemicals which were all stored there were burned and released into the air for approximately 5 or 6 days in total. An air quality warning was issued over the city. 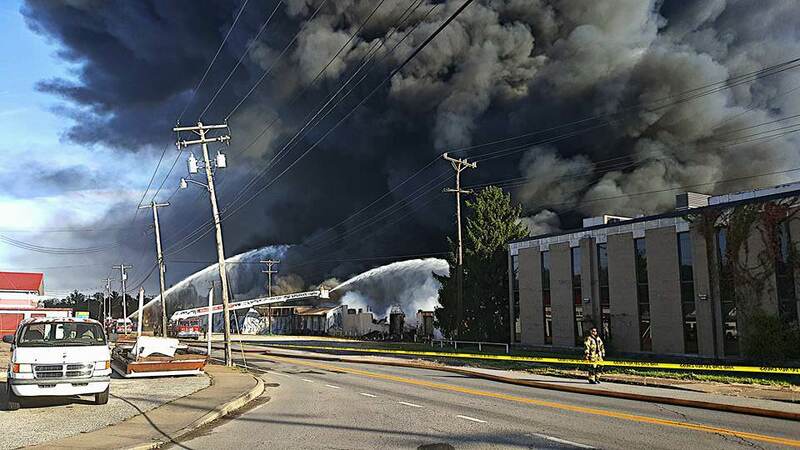 Over 6 surrounding local fire departments were called in to battle the flames. 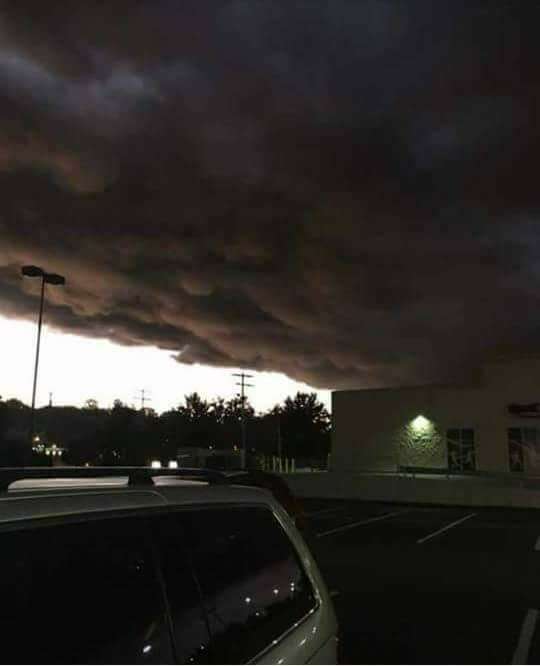 When local news sources attempted to get a statement from D'Costa about the his storage methods and the cause of the fire, they were informed that D'Costa had left the country for an undisclosed amount of time, to an undisclosed location. Fast forward several weeks, and D'Costa files an insurance claim seeking monetary compensation for the loss of the warehouse. I cannot say for certain what actually happened. However, my theory is that D'Costa burned down his own warehouse to get the insurance payout. I'm not entirely sure of the nature of his relationship with DuPont, this could have been a way for D'Costa to repent to his former employer for stealing from them. I.e. He gets rid of their chemicals for them since they can't OR he could be angry at them for catching him stealing, and hope to implicate them in this tragedy. Either way people need to know what DuPont does to the communities in which they operate. When I was in elementary school there was a city wide blood test that people partook in. If an individuals blood had high enough concentrations of C8, DuPont would pay $400 to that individual as compensation for years of drinking tainted water. 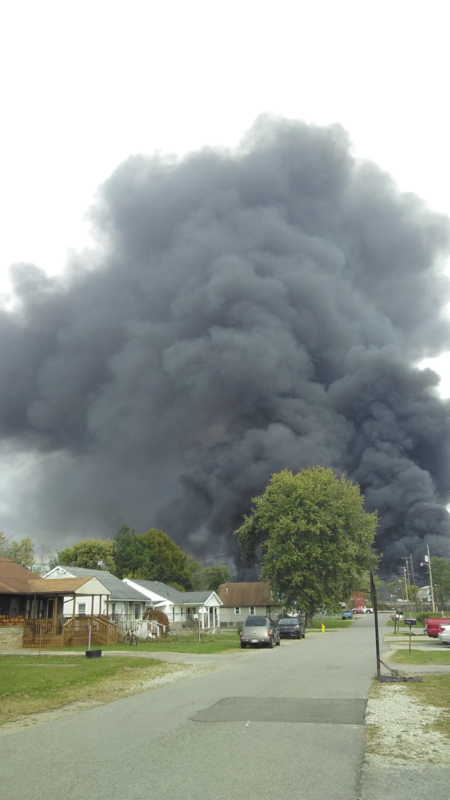 This fire is not the first major transgression that DuPont has engaged in, in my community. It is time for the public to educate themselves on the dealings of massive corporations, their employees, and the politicians they donate to.